For most people, the last time they heard about Cyprus was when it was making the news due to territorial conflict with Turkey during the 1970s and 80s. This is a great shame because for families on a budget there couldn’t be a better way to explore the Mediterranean. Picture long sand beaches, but without the crowds of Italy. UNESCO world heritage listed Greek and Roman ruins, but without the threat of pick pocketers. Picture the budget friendliness of Eastern Europe, but in a Mediterranean climate. Picture an island full of architectural treasures, donkey sanctuaries, cat monasteries, UNESCO listed byzantine churches, haloumi and wine – and it’s only 240 kilometres long and 100 kilometres wide. Visit UNESCO world heritage listed ruins in Paphos: The two main archeological sites to visit in Paphos are the Paphos Archeological Park and the Tomb of the Kings. The Archeological Park is located on the waterfront and includes many ruins from mainly the Roman period. The highlight of a trip to the Archeological Park are the Roman Villas with their beautifully preserved mosaic floors. The Tomb of the Kings is located a little further up the beach and showcases several underground tombs built for rich aristocrats in the 4th century BC. The tombs were cut out of solid rock and are great places to wander and explore. Play at Paphos Aphrodite Water Park: With tons of slides and attractions suitable for all ages from babies to adults, this water park is a must do for traveling families. The park is located along the coastal road, at the other end from the archeological site. With ticket prices at 30 Euros per adult and 17 Euros per child (under 3 free), it is one of the cheapest water parks in Europe. Make friends at a Donkey Sanctuary: Donkeys are still a very important part of life in Cyprus. They are invaluable for helping with agricultural work in some areas where traditional farm machinery just won’t function. Unfortunately, some donkeys end up not getting the care they need. That’s where the Donkey Sanctuary comes into play. The sanctuary is home to around 120 rescued donkeys and mules. The sanctuary welcomes visitors and while there is no entrance fee, the sanctuary does run entirely on public donations. It is advised to call ahead before visiting. 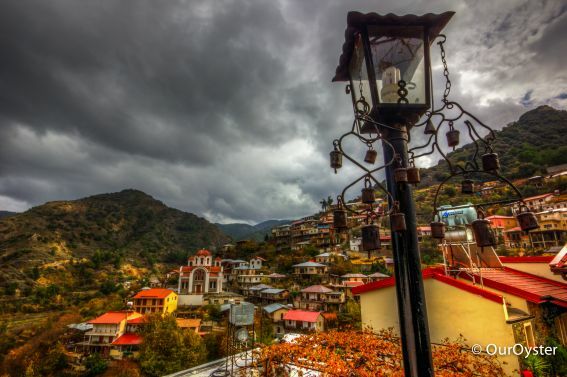 Marvel at the UNESCO Byzantine mountain churches of the Troodos region: Located in the central part of the island, the Troodos region is rugged, mountainous, and has a much cooler climate than the rest of the island. 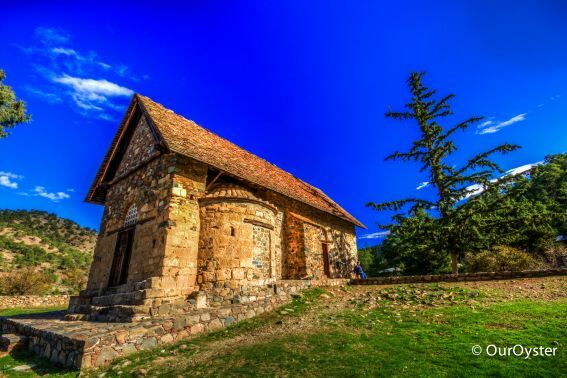 It is also home to ten UNESCO listed Byzantine churches built from the 13th century to the 16th century. 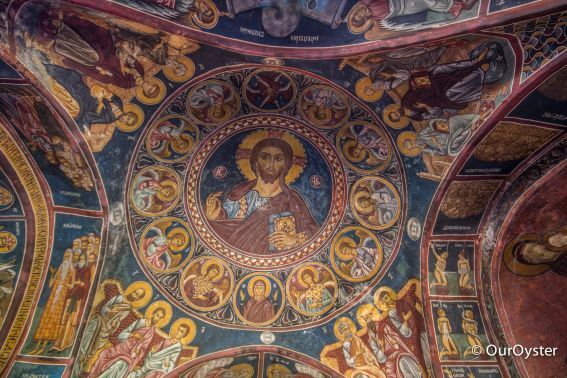 The churches are famous for their painted frescoes and offer incredible insight into art of that period. You will need your own transportation to visit the churches, and if you want to visit all 10, it is highly recommended to allow two or three days. Sample amazing wine you won’t be able to find anywhere else: Cyprus is best known for the Commandaria style of wine. You may not have heard of it before because it is rarely found outside of Cyprus. Commandaria is a sweet dessert wine and is known as the oldest wine variety in the world. In fact, it got its name from the crusades and was supplied in great quantities to pilgrims and royalty. The wine is primarily produced in the Troodos region where the grapes are allowed to over ripen on the vine. The wine is then aged for four years in oak barrels. You can either visit the vineyards directly or simply sample from the wide range available in Cypriot supermarkets. Cuddle kitties at St. Nicholas of the cats monastery: Originally there were no cats on Cyprus, but when they were trying to build the Byzantine monastery of St. Nicholas they had a problem – snakes. The story goes that hundreds of cats were brought over from Egypt to fight the venomous snakes, allowing the monastery to be built and to function in peace. The monastery is still filled with super friendly cats. Relax in the sun: Cyprus is of course a sun and sand destination, so it would be a miss not to mention the beach. There are beautiful beaches all around Cyprus, and many hotels (even budget hotels) are located near to a beach of some description. Getting there: Cyprus is connected to many other major European cities by the super budget airline Ryan Air. Booking early will help you secure a lower fare. Getting around: If you plan to explore several regions of the island it is necessary to rent a car. Car rental is extremely reasonable in Cyprus. With a little research you can easily find a weekly car rental for around 40 Euros. Make sure to compare a few different car rental websites to find the best deal. Accommodations: Hotels are incredibly reasonable in Cyprus. All throughout Cyprus you should have no trouble finding one bedroom apartments, complete with full kitchens, for around 20 Euros per night. Some even include a washing machine. For even more savings, try to find a hotel or guest house which offers free breakfast. Eating in: The cheapest way to eat in Cyprus is to self cater. Since most hotels and guest houses have full kitchens, this isn’t a problem either. All the main cities have the ultra-budget European supermarket Lidl. Lidl stocks the basics for a fraction of the cost of a regular supermarket. However, they do not sell baby food or formula, so you will need to visit a larger supermarket for those items. Eating out: For the best food experiences try to stay away from the restaurants that are strongly geared towards tourists. Instead head to a local taverna. Here is where you will find the more traditional items on the menu – like lountza (smoked pork), keftedes (meatballs), and of course, haloumi cheese. A meal in an average restaurant should cost you no more than 7 – 10 Euros per person. Everyone likes to save money, allowing you to do more and for a longer time. 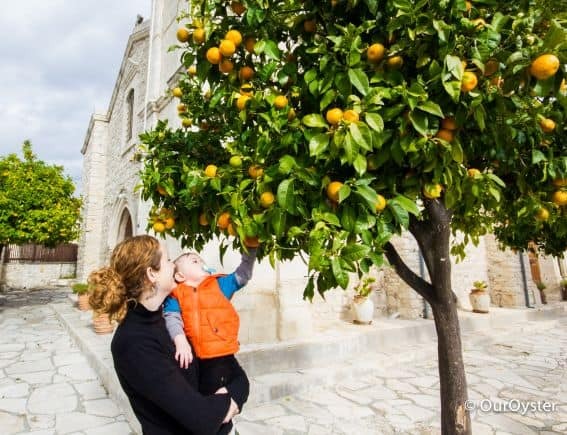 These tips are not only true for Cyprus, but for any destination. Before leaving home find a credit or debit card that does not charge you an overseas transaction fee. Compare several different hotel websites when making a booking. Sometimes the same property will be cheaper on a different website. When booking your accommodation, try to find one with free breakfast. When renting a car, save money by renting a manual drive instead of an automatic. If you are renting a car and don’t mind carrying a bit of extra luggage, then bring your own baby/child seat. Most airlines allow you to bring a baby/child seat for no additional cost, and sometimes the cost of renting one with your car is as much as the car rental itself. Pack your own lunch when you are out sightseeing, so you can use the money saved to have an extra nice dinner out. Stay away from restaurants in tourist areas and eat instead at the restaurants where the locals eat. You will usually find the food is cheaper and more delicious. Travel in the off season. Accommodation prices can drop dramatically in the off season and can save you tons, just make sure that the main attractions you want to visit will still be open. Jade Johnston has just finished a 5 month round the world backpacking trip with a baby under 1. She writes about her misadventures along with destination guides and budget travel tips at her website OurOyster.com.